Case.one, a new platform for law firms and legal practitioners, is headed to New York Legalweek to be demoed for the first time. 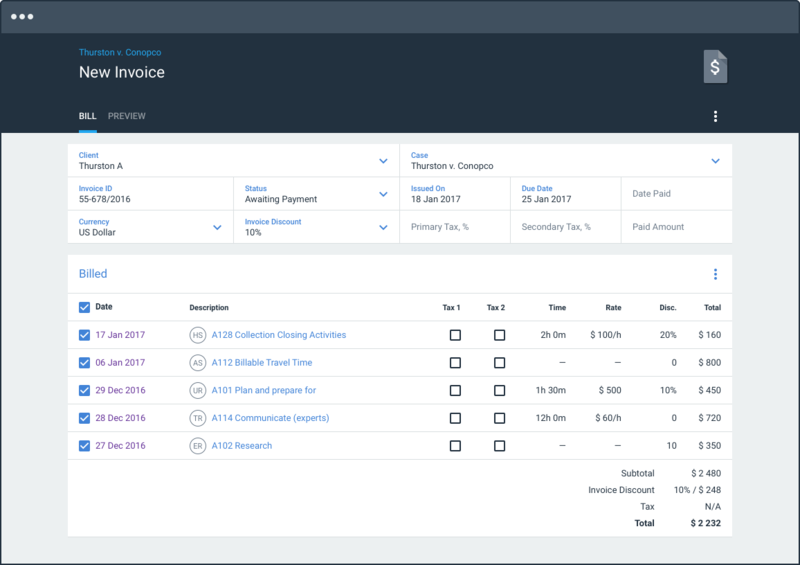 Case.one is a cloud-based legal technology solution that allows you to work on collaborative litigation, exchange information, manage your time and billing, create invoices and monitor your ongoing tasks all within one simple platform from anywhere. The main goal is to improve efficiency, increase billables, reduce operational costs, and maximize profits for your practice, whether you are a solo practitioner, midsize or large practice, or even the legal department of a company. The platform allows users to easily control workflow, and includes standardized templates and reporting forms to speed up your work process. Plus, it automatically updates and reflects any new information issued by government departments and agencies. It also provides court rules, calendaring, form templates, billing and invoicing, all at no additional cost. Unlike existing products on the market, there’s no fee for joining Case.one - you simply pay less than $1.00 per case, for unlimited users. That’s it. The professional solution for Case.one Attorneys comes as a cloud-based or Enterprise deployment that can be installed on the company's servers anywhere in the world. The service is based on Microsoft .NET Framework and C #. The platform uses SSL-encryption (256-bit) and customer data is stored in a distributed structure, which prevents erroneous access to databases. There’s also firewall and DDOS protection in place. With Case.one’s ‘private cloud’ design, it can be easily deployed to a company’s servers anywhere in the world, and the solution has been tested to the highest standards of cybersecurity to ensure customer information is fully protected at all times. Case.one utilizes a ‘Private Cloud’ Security design that ensures HIPAA compliance, and provides 256-Bit Military Level Encryption Standard to secure your data in transmission and storage. Please join Case.one for a demo in Booth 2013. Don’t miss a chance to win 1 Week All-inclusive Trip To FIFA 2018.